My name is Eddie Mulder. 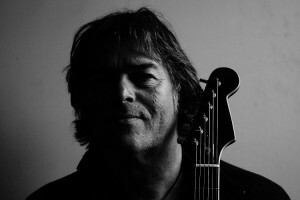 I was born on the 26th of April 1959, at Rotsterhaule, Friesland, The Netherlands. At a very early age I had strong musical feelings. I can remember one day, I must have been 4 or 5 years old, that I saw a matchboxpicture of Cliff Richard holding a guitar in his hands. It apparently appealed to me. Also The Beatles have played some role by being famous, although at that age I probably wasn’t very aware of what they were about. 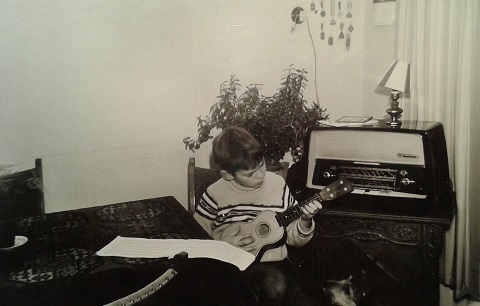 Since the age of 6, the guitar played a major role throughout my life. At first there were classical lessons, whereby teachers like Piet Grin, Roel Slofstra and Andries Lubach teaching me all they could, to have a great technical background. I still love classical guitar music. When I was about 13 or 14 years old, first bands came in sight. Because of that I’d soon finish with the classics, though I’ve picked it up again years later. At the time, early seventies, bands like Pink Floyd, Yes, Genesis and later on Gong, Steve Hillage and Gentle Giant were among my favorites. That has always remained the same, though I tasted other influences as well, such as Irish Folk, jazz, several types of world music, new age a.o. Because I became a professional musician in the eighties in the band Avenue, I became familiar with all kinds of music that you got to know when you play at parties or discotheques. That was one fine school as well in which “playing together” and “listening” have grown tremendously. At that time I was a regular at recording sessions as well. After having played in a large show in Germany, early nineties, I started playing in this acoustic guitar trio, French Connection. We still do gigs around. Since the end of 2000 I’m also able to express my taste for symphonic and progressive rock through my creative in- and output in bands like Flamborough Head, Trion and Leap Day. I also play an acoustic guitar-duo, called Two Faces, with Jos Harteveld. Lately I play solo too. Together with all of my guitar students, I don’t find it difficult to stay busy.